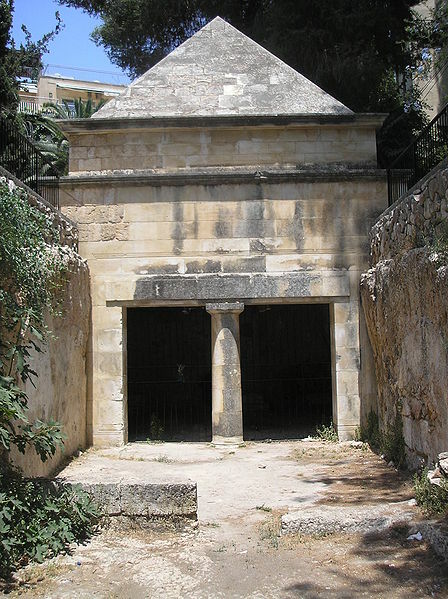 In the heart of one of Jerusalem’s most affluent neighborhoods we discover a fully reconstructed Maccabean-era tomb. The tomb even has its own address, 10 Alfasi Street. Who’s buried here and why would they be buried in the middle of a residential neighborhood? Visitors to Jerusalem’s Old City quickly notice the graveyards that surround it, especially from the East. What most are not aware of is that during the Second Temple period the Old City was surrounded by graves from the west as well. Today, many of Jerusalem’s most upscale neighborhoods were part of an elaborate “City of the Dead” (Necropolis). Our tomb sits at the heart of this ancient city.